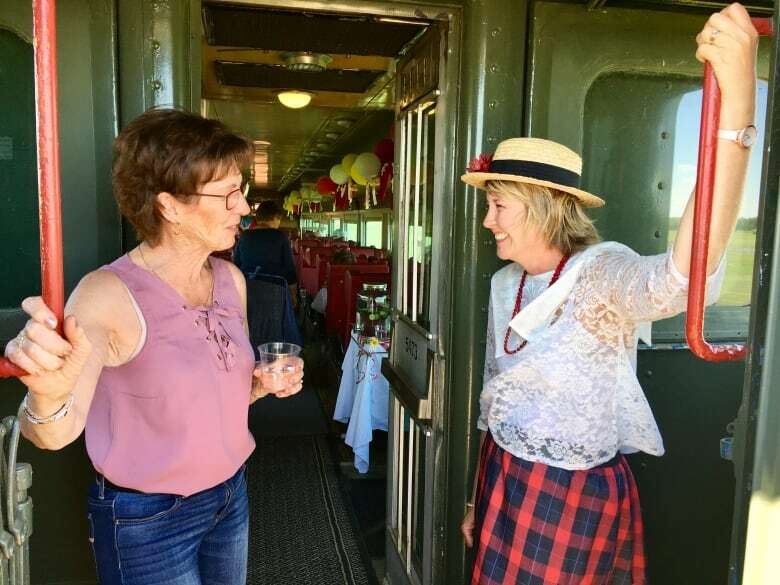 It's all aboard for the Friend of the Battle River Railway, a tourist attraction branching out while celebrating five years of riding the rails. In the Monopoly game that is life, central Alberta farmer Ken Eshpeter never banked on holding the deed to a railway. 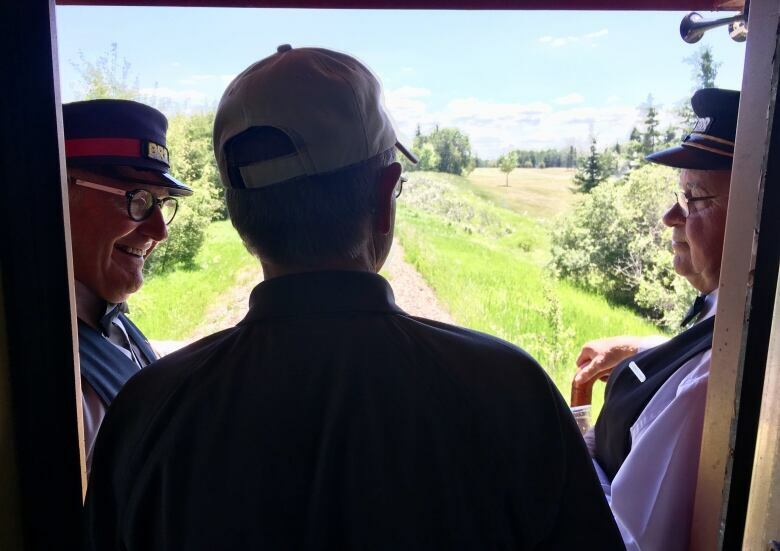 "I've always loved trains, but I didn't know I liked them quite as much until we owned one," said Eshpeter, chair of the Battle River Railway. Fifteen years ago farmers living two hours southeast of Edmonton caught wind that CN rail was abandoning the branch line that moved their grain. 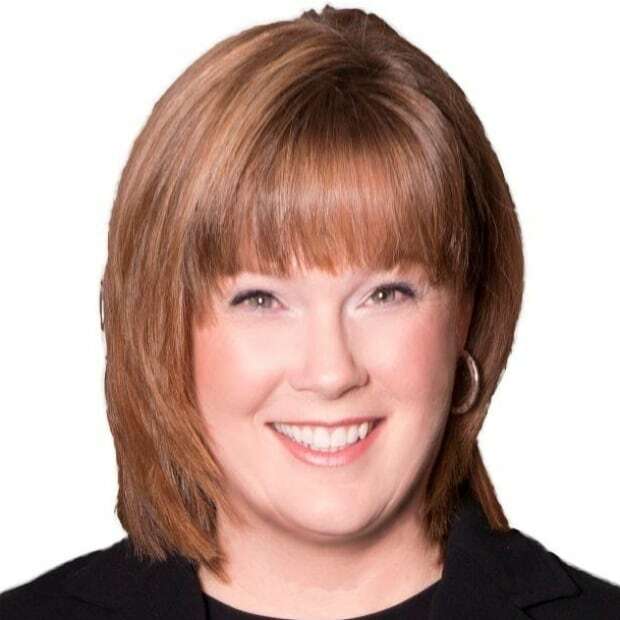 It was an 80-kilometre line connecting communities like Alliance, Heisler and Kelsey to the terminal in Camrose, Eshpeter said. A group of farmers gathered round Eshpeter's kitchen table for the first of many meetings and, in 2010, formed a co-op, which eventually sold enough shares to purchase the line for an estimated $5 million. "The line was basically saved so we could move grain on behalf of farmers, which we have done," Eshpeter said. "We move about 1,500 cars annually. But we're always looking for diversification opportunities." 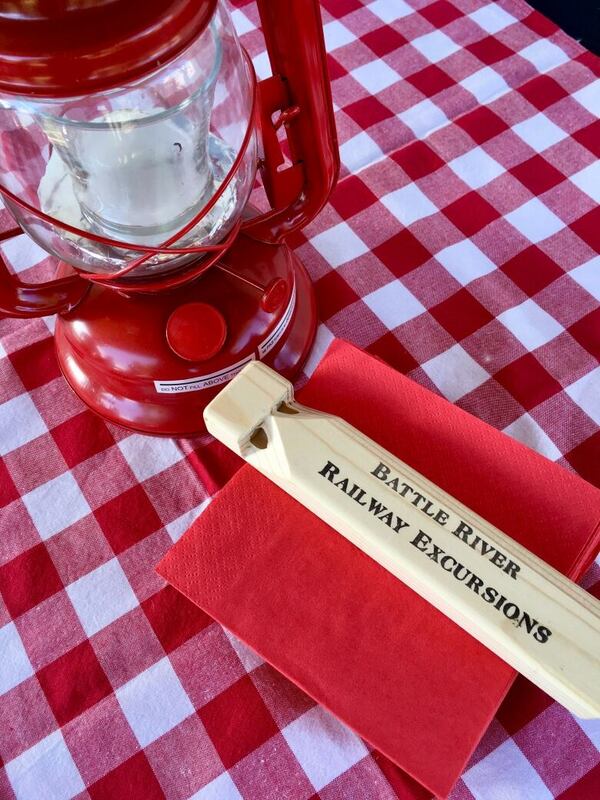 Five years ago, the Friends of the Battle River Railway not-for-profit was formed. At first the volunteers offered five excursions gradually growing to 11 this year. "We have garden tours; we have theatre tours; we go to historical hotels; and of course we have a Christmas run and an Easter run for the kids," explains board member John Oberg. Each run, Oberg swaps his farming overalls for a crisp, blue conductor's uniform. He wanders the train from the locomotive to the open air gondola car that has a wooden deck that doubles at a dance floor through the passenger car and into the classic caboose checking on passengers whether during a murder mystery, staged train robbery or Oktoberfest celebration. "We try to have quite a bit of variety so everybody has a good time," Oberg said. Joanne McMahon is also onboard serving up snacks as the journey chugs along. "From the time you get on, we're looking after you," McMahon, volunteer business co-ordinator, explains. "My husband and I farm, so we have a vested interest in the Battle River Railway. It's a big part of our community." "We're bringing people from the urban to our rural. We love where we live. We want to share where we live," McMahon said. 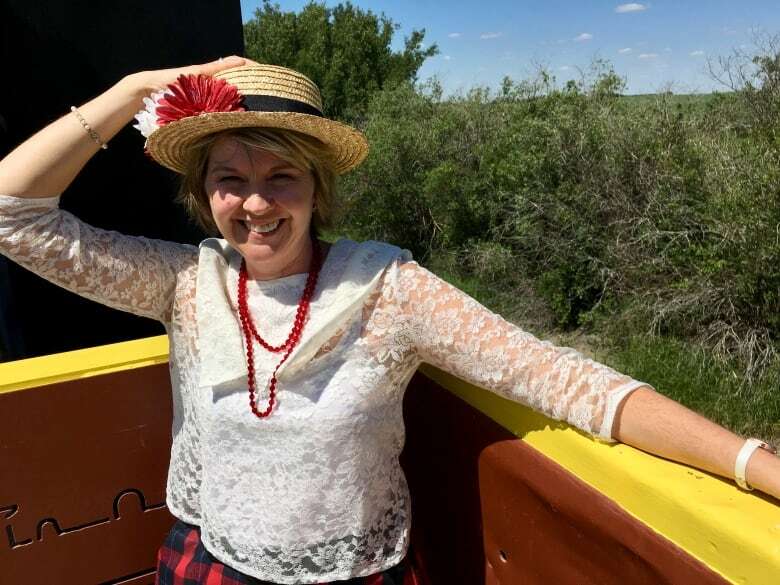 Jenalee Blackhurst, economic development co-ordinator for Flagstaff County, wanted to get a feel for the ride, so this week became a pampered passenger herself. "This is a really big deal. When we started looking at opportunities for the region, this really became the premier attraction as far as tourism," Blackhurst said. She's seen the railing link six towns, two counties, but now she's hoping the Friends of the Battle River Railway is on track for expansion. "It's so unique and so diverse that even with our proximity from Edmonton, Saskatoon, to Red Deer, we really believe we can get people out to see this attraction which helps tourism, 'cause maybe they'll stay in our campgrounds, maybe they'll stop in a business. "The more growth the better," Blackhurst said. This year the Friends of the Battle River Railway have begun renting the train out for weddings, corporate retreats and family reunions. "We can stop anywhere on the tracks," McMahon said. "If you want to stop and have some pictures taken, we can do that. We can do anything we want on our line. It's a pretty exciting thing." 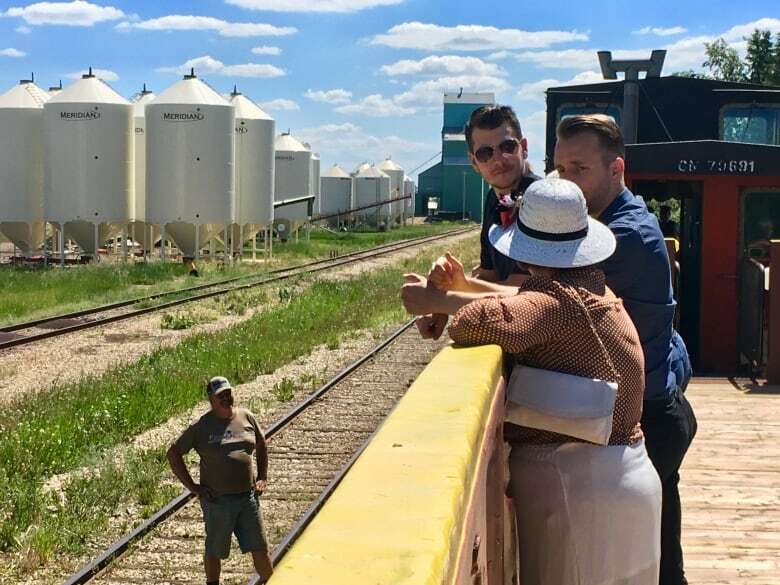 You can hop aboard with the friends of the Battle River Railway this week on Our Edmonton Saturday at 10 a.m., Sunday at noon and Monday at 11 a.m. on CBC TV.